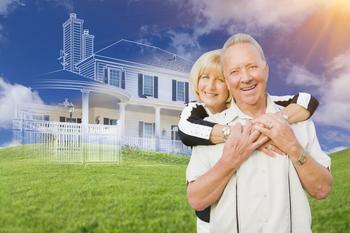 A setback in the confidence of builders in the 55+ housing market. The National Association of Home Builders (NAHB) maintains separate 55+ Housing Market Indexes (HMI) for two segments of the 55+ housing market: single-family homes and multifamily condominiums. Each measures builder sentiment based on a survey that asks if current sales, prospective buyer traffic and anticipated six-month sales for that market are good, fair or poor (high, average or low for traffic). All three components of the 55+ single-family HMI posted declines in the first quarter from the preceding three-month period: present sales dropped 12 points to 62, expected sales for the next six months was down seven points to 68 and traffic of prospective buyers fell 15 points to 34. Still the overall reading for the 55+ single-family HMI came in at 55, the 12th consecutive quarter with a reading above 50, which means that more builders view conditions as good than poor. "We saw an unusually high 55+ single-family HMI in the 4th quarter of 2016 due to a post-election surge in optimism. As this wears off, confidence is returning to a more sustainable level," said NAHB Chief Economist Robert Dietz. "Although builders are struggling with shortages of labor and lots, as well as higher lumber prices, market conditions on balance remain favorable, and we expect solid growth in the 55+ housing sector." The 55+ multifamily condo HMI remained even at 46, with the three components showing mixed results for the first quarter: Present sales held steady at 50, expected sales for the next six months fell five points to 47 and traffic of prospective buyers rose two points to 37.